We recommend the following Routers as a Good, Better, and Best solution. The routers that we sell are sold with the the Tomato or DD-WRT Software installed, configured, and implemented on your network. By far, the most under appreciated and least respected device on your network is the router. Most people think of their router as a simple box that you plug into a power source and blinking lights magically come on. After awhile red lights turn to yellow, then green, and life is good. All the router does is connect your network to the Internet, right? Most people would think so. Usually you do not need a router unless you want your network connected to the Internet. Well today, everybody is connected to the Internet so everybody has a router. When you ordered your first residential or business high speed (BroadBand) Internet service for your home or business, your only concern was how fast the bandwidth would allow you to download files, and how much would you pay monthly for the service. It was just assumed that the Internet provider would bring out the appropriate router and connect it to your network. Usually the cost of the router was absorbed into a service contract lasting one or two years. If you wanted to have wireless access, then you paid a little more for a wireless router to connect all your wireless devices. Nobody (except us nerds) cared anything about their network router, as long as it worked. If for some reason, like after a storm or power outage, some of those green lights went back to red and you couldn't get on the Internet, all you had to do was call your Internet provider, and have them either replace the router or, if you were lucky, magically tap the keyboard on their end and things went back to green and working again in the same default configuration. Why then should you care about the router on your network? As it turns out, the router supplied by your Internet provider will meet your most basic needs. They give you a residential class router for homes with up to four or five typical users. They give you a business class router, if you demand or pay extra for it, for business connections that will support a dozen or more users and faster connection speeds. The big buzz word we used back in the 90's was SOHO Router, which stood for Small Office / Home Office Router. The first router you had with your first high speed connection was a SOHO Router. Before SOHO Routers, the Internet was usually accessed with a dial-up connection using a single computer, modem, and phone line. A router, whether a cable or DSL modem, as they are sometimes called, is simply some mysterious box that comes along with your Internet service. Internet providers want to keep things simple and discourage users from even thinking about messing with their routers. Typically a service technician or installer would set your router up to provide most basic functionality. Some telephone and cable companies would mail out a pre-configured router and only send a technician if you are unable to get things working on your own. These early routers were hopefully “Plug and Play,” which was another popular term in the day. We called it “Plug and Pray.” Usually Internet providers do not support anything but the most basic functionality on the routers they provide. Routers had been around for many years before I first got one, but they were mainly used for dedicated point-to-point connections for large companies with multiple locations, who needed something called a Wide Area Network. Still today, routers have a WAN port, but it is generally thought of as the external connection to the Internet. It was the universities and their early use of Wide Area Networking to share information that evolved into what we now know as the Internet. Believe it or not, the Internet was not invented by Al Gore! Long before consumer SOHO Routers came on the scene, I got my first router and started an Internet Service Provider (ISP) business. This was at the beginning of the Internet explosion in 1992. I obtained a T1 line from MCI communications, which provided 1.5Mb/second upload and download speed. The cost of this T1 line was $4,500/month and required a special router. After some shopping I wound up with something called an IPAD which was a 66 mhz 486 PC that ran DOS and had a $2,500 router expansion board in it. I thought this was a good deal because a single port Cisco 2500 router ran about $4,500. This board connected a $250 special “canary” cable to another $1,500 device called a CSU, that in turn connected to a high speed smart jack from the telephone company. The “smart jack” was actually the T1 line. I also started ordering telephone lines by the dozens, each connected to individual external modems organized in banks, for my dial-up Internet Service Provider business. After investing $50,000 in equipment, I had a respectable ISP business in my garage and I was Mooresville, Indiana's biggest telephone customer! Before moving the business out of my home garage to an office in Indianapolis, I had 80 phone lines which serviced several thousand part time dial-up Internet customers, sharing Internet connectivity through this single T1 line. At it's peek, I had 8 T1 lines for phone and Internet service, which were condensed into a cabinet much like the one shown in the picture of me on the right side of this website. One of these days I will write a more detailed “History of Me,” but I give you the above so you may understand my background and early use of routers. I had a good go of it as an ISP and the experience left me with a lot of working knowledge of networking and routers. Believe it or not, the driving force behind much of the development of router technology is kids and their game consoles, something we use to call video games. These games constantly stress the limits on bandwidth, speed, and wireless performance of routers to levels at which they were never designed to perform. I can remember my toughest customers were always kids, which is still true today! In the early days, surfing the web and an occasional file download was about as demanding as it got. With kids and their games, along with newer uses for the Internet like video, the demand for speed and capacity is exploding. One of the game changing applications that pushed the envelope of technology was something called Netflix. All of a sudden, people wanted to watch high definition movies over the Internet. It was the need to be able to watch Netflix that fueled further evolution of network routers into what they are today. I hate to admit, but the truth is that we first started selling the type of routers that we use today because we had to have something that would make Netflix work without pausing or buffering downloaded data. People would have high speed connections, but they were frustrated because they could not watch Netflix without the router interrupting their movie watching! I was introduced to an alternate router firmware called Tomato. The first customized Tomato routers we installed ran Netflix far better than the routers they replaced. Today, we recommend, sell, and install Tomato routers. When you decide that you want to do more with your Internet connection than what is supported by your Internet provider, it is time to get a better router. Internet providers, whether they be cable or telephone companies, typically do not wish to support customer routing needs. I have made many phone calls to Internet providers for assistance in "bridging" their router, so that it simply passes raw Internet traffic to a router of your choosing. Sometimes this need arrises when you want to have mail or web servers on your network. Sometimes you want to know that you are in control of your router and there is no "back door" for the Internet Provider or anyone else to monitor or control your traffic. Sometimes you simply want the performance that comes along with a newer, more powerful router, and not something that has been sitting in a warehouse for years. There are lots of good reasons you want to be in control of your own router. So what is a Tomato Router? If you go shopping for a router on Amazon.com and type in “network router,” you will have hundreds of choices. Where do you start? What do you look for in a router? It is best to think of a router as a small computer. In fact the routers we use actually are Linux computers with processors, memory, and many of the other components you would look for in a computer. Not all routers are created equal, that's for sure. You want to pick one with a good fast processor and lots of memory. The most basic, but capable, router we install is available on Amazon.com. 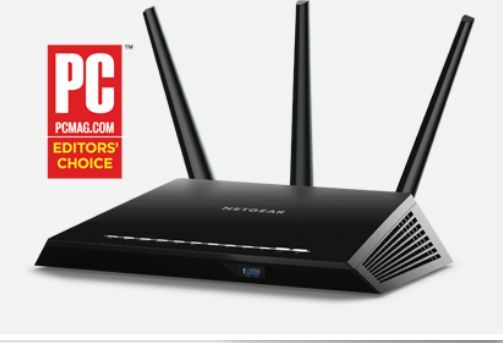 It is the Netgear WNR3500L and sells for under $50. If you take a Netgear WNR3500L router and plug it in, it is going to look and act like any other home or small business router. What sets this router apart from most others is the “L” at the end of the model number. That means that it is Linux compatible. To us this means that we can replace the factory programed “firmware” with a special Open Source program called Tomato. Thus you have a “Tomato Router.” A Tomato Router is a router that is a small computer running the Linux operating system and a program called Tomato. Tomato routers are extremely powerful and flexible in terms of what you can do with them. The cool thing about Tomato is that it is Open Source and free for the taking. Basically we take a $50 router that can be bought off the shelf or on Amazon.com, load the Tomato firmware, and all of a sudden, we have a router with the same power and features as routers costing $800 and more. That is a lot of bang for the buck! A word of caution for you do-it-yourself people. You need to have the right router model and version, along with the right version of Tomato to make it all work. Otherwise you wind up with a “bricked” router that will never come back to life. Having a powerful Tomato router is all well and good, but the real power comes with knowing how to use its advanced features. Two of the most important features, besides routing Internet traffic, are protecting and monitoring your network. I have been using Tomato Routers for five or six years now, especially since the introduction of the Netgear WNR3500L, which was a step up in terms of processing power and memory. Since Tomato Routers run on Linux, a working knowledge of Linux is also helpful. I am still learning new ways to take advantage of Tomato Routers, the most recent of which is adding some custom programming to restrict international Internet access, and interfacing with a network security server to make an active firewall to immediately shut off threats. Another feature that arrived with the WNR3500L was a simple USB port. You could do anything you wanted with this USB port, such as share a printer or add a USB memory stick or hard drive that can be shared. The real power of the USB port is that when you add a USB memory stick, you have the additional storage necessary to install optional or custom modules to your router. With the additional storage, you really do have a router that has all the power of a dedicated routing computer. The concept of a Routing Computer is what we take advantage of. Taking advantage of a router and using it as a computer allows us to monitor traffic and make intelligent decisions as to whether traffic is good or malicious and react accordingly. The Netgear WNR3500L can make a great Tomato Router. It was revolutionary in terms of raw power. There are more advanced models from Netgear and others that have much more power and capacity to take advantage of the Tomato software. We offer a Good – Better – Best selection of Tomato Routers that can compete with even the most expensive commercial counterparts.